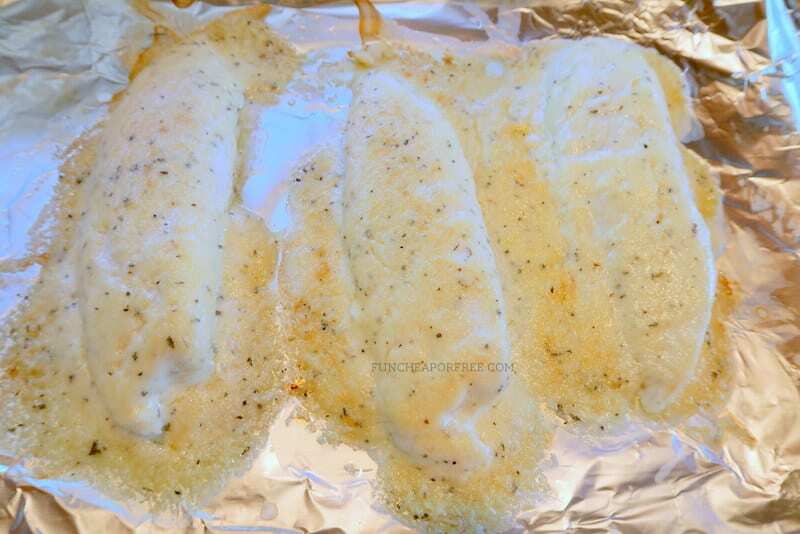 Last week on my Vlog I showed you the EASIEST Sunday meal I made…10 minute smothered and baked tilapia. It was seriously one of the easiest recipes I've made in a long time, and one of the tastiest…and healthiest! (Enter slow clap for Jordan actually making a healthy meal.) Several of you asked for the full recipe so I thought I'd share quickly between our weekend festivities. This is a PERFECT quick and easy meal for a lazy Sunday! Give it a try, and let me know if your family enjoys it as much as mine! 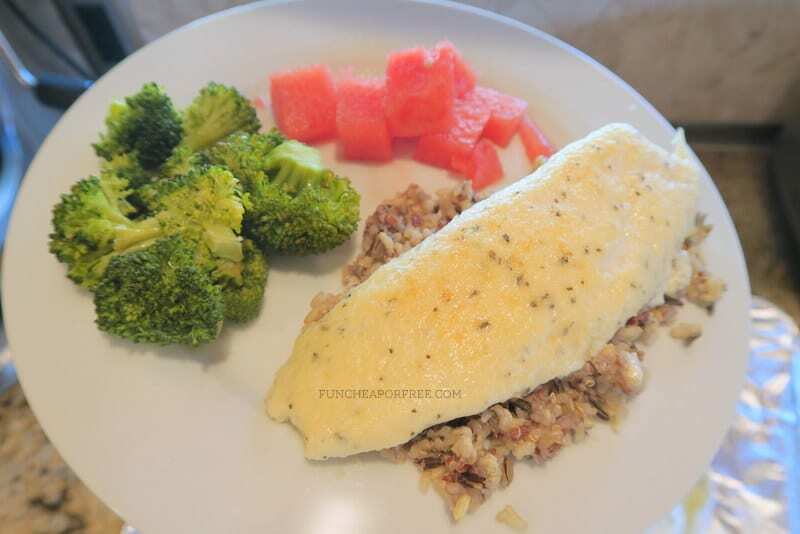 10 Minute Meal – Smothered & Baked Tilapia! Preheat oven to broil. 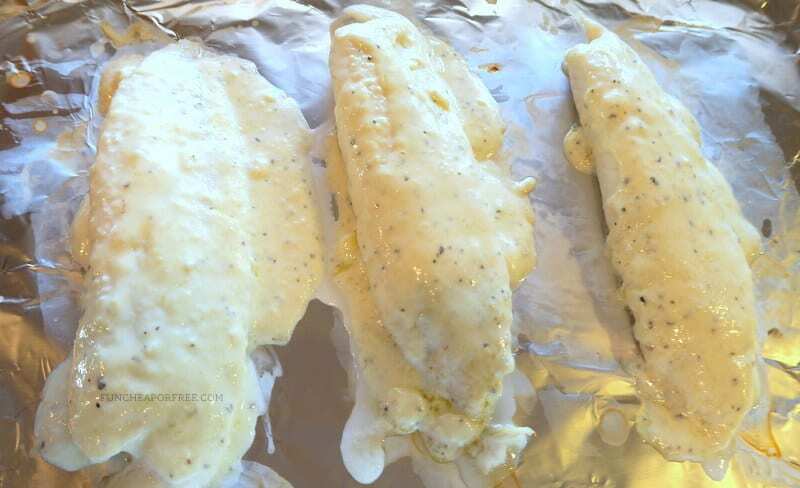 Line a baking pan or sheet with aluminum foil. In a bowl, mix together all ingredients, except tilapia. Meanwhile, arrange filets in a single layer on the pan. Broil for 3 minutes on each side. Remove from the oven, and smother the top side of the filets generously with parmesan mixture. Broil 2-3 more minutes or until the mixture is lightly browned and the fish flakes easily with a fork. Serve with your favorite rice or quinoa. Again, click here for a printable version of this recipe. I served it with the BEST wild rice/quinoa mix from Costco. It cooked surprisingly fast! I made several cups and we ate it with various meals for the entire week. We also served it with broccoli, that only took as long as the fish did. I cut the broccoli, put it in a glass bowl with about 1/4C water, covered with a plate, then microwaved for 5-7 minutes. Perfectly steamed broccoli, so fast! There you go! Hope you enjoy this as much as we did! My whole family is in love with this recipe! I just made it again tonight, but didn’t have enough tilapia fillets so I added 5 frozen chicken breasts. I just cooked the chicken for an extra 3 minutes. Delicious! Way to go girl!!! Is it suppose to be 2t of basil? Mine looks way more basil-y than your pictures do! It’s good though! Yum! 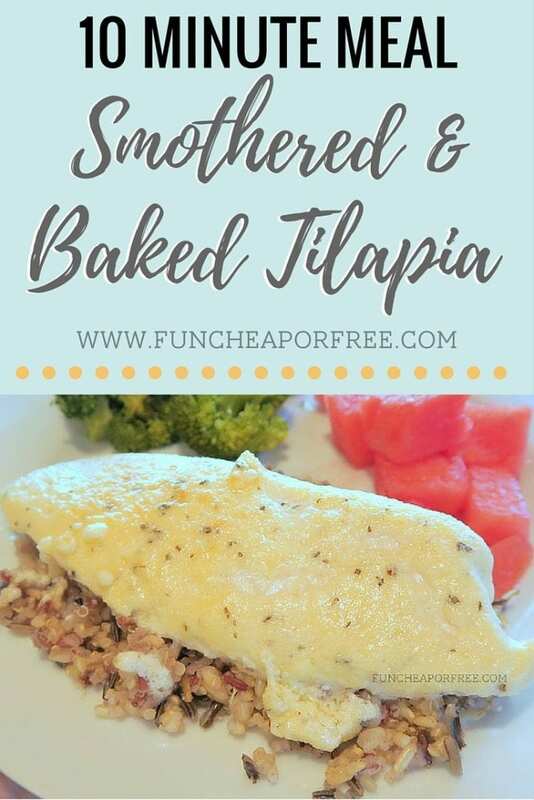 I am always looking for fresh ways to make tilapia! I did 2t of Basil instead of the 2 T (that seems like a lot). It was yum yum yummy. My 5 year old called the sauce “awesome sauce” and put it on his broccoli too. I wouldn’t call a recipe “healthy” when the first three ingredients are cheese, butter, and mayo but this is definitely tasty and fast. Gotta get some more tilapia now!